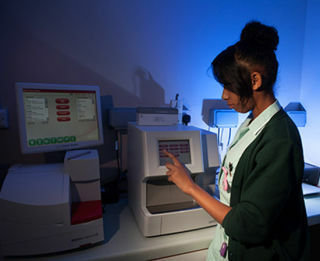 We have several different blood analysers in our in-house laboratory that allow us to run tests on your pets blood for a range of conditions at any time of day or night. We can also test urine and joint fluid on these analysers when necessary. 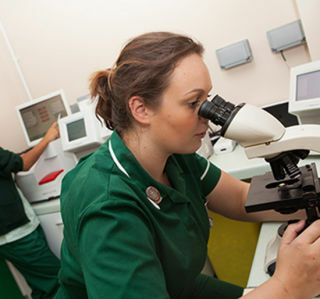 This enables us to provide quick and reliable results helping us to give your pet the required treatment promptly. For the tests that we cannot run in our in-house lab we use various external laboratories depending on the particular test required. A courier service collects samples from our surgeries daily for some of the labs allowing us to obtain results the next day.